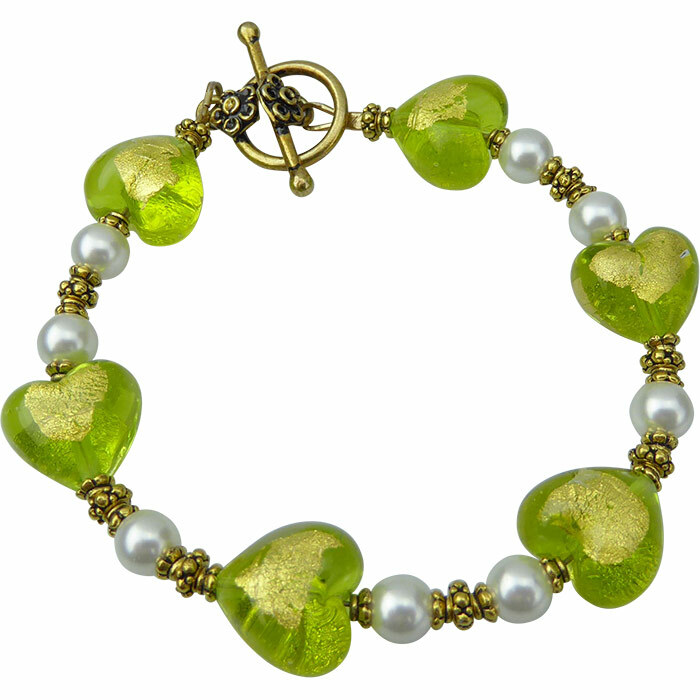 Enjoy our Murano Glass Green Hearts in a circle with Gold Plated Pewter accents and Swarovski Crystal Pearls complete this design. The length is appproximately 7.5 Inches. 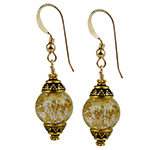 Handmade Venetian beads and assembled in our studio.